anyone else out there love instagram?! you know... that convenient little way to capture some beautiful daily moments that you encounter!?! well, if you are anything like me, some of your favorite photos were caught with your iphone. there they were displayed proudly on instagram for the world (or a couple of your BFFs) to see. sometimes i find it sad that the sharing ends there... well now it doesn't! enter binkypop! binkypop was founded by husband and wife duo mochi and molly, and they have created a unique (and freaking awesome!) way to share our photos in one more place! 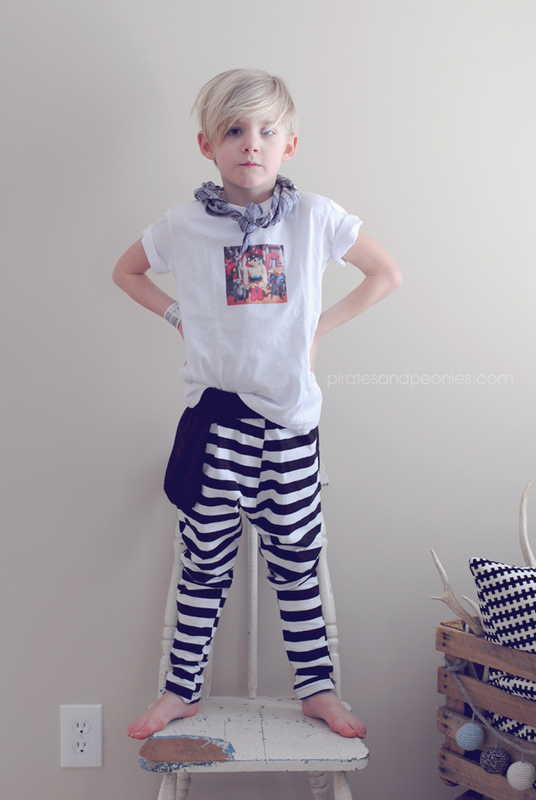 on a tee shirt - perfectly fit for your cool little one! 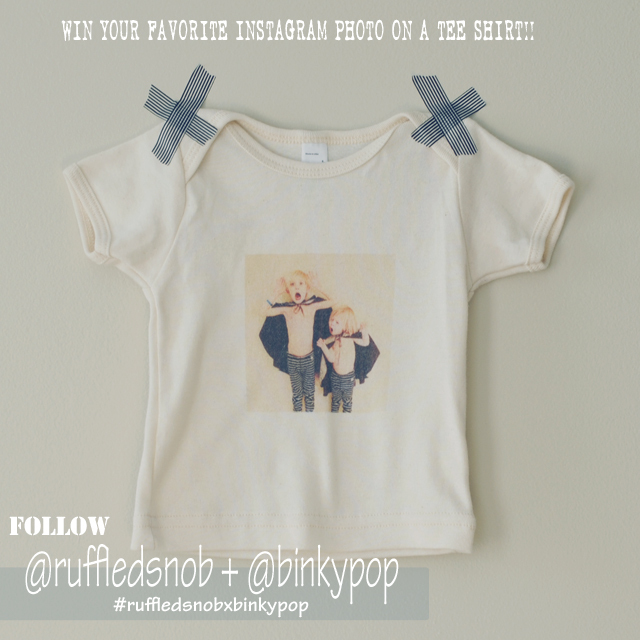 whether it is a glorious scenic view, a photo of their favorite stuffed pal, or a fabulous photo of themselves your little one don their binkypop tee proudly! isn't that the cutest idea ever! the other great thing about binkypop is they are very environment conscious and all products are made and manufactured in the USA! they have thought through so many details including eco friendly packaging - these are the reasons why i love and support small businesses! mochi and molly are going to be giving away not one but TWO binkypop tees to our readers along with a special promo code, but first i would love for you to see what they're all about. so come peek into their world and get inspired by checking out their beautiful instagram galleries @mollypark and @mochipark. you can, of course, see some amazing binkypops on display here @binkypop or by peeking at #weartheshare on instagram. also find them on facebook over here! ok guys! don't you just love all the unique and creative ways all that people are sharing their photos on binkypop. binkypop was kind enough to offer you the chance to save, so that your awesome little kiddo can be rocking one of their very own binkypops! hop on over to binkypop and create a tee and enter the unique promo code PIRATESXPOP to receive 15% off until monday at 11:59pm. Q. How did you and mochi meet? My husband and I met working together at an advertising agency in Los Angeles. We fell in love and were married 2 years later. Five more years and our family of two became three, and a special little lady came into our lives. Our daughter inspires us to be creative and passionate about life, and now about being parentpreneurs! Q: Can you tell us a little bit about how Binkypop started? We had the idea for Binkypop when I was 9 months pregnant, and ran our first Binkypop prints when our little one was 4 months old. We were inspired by all of the great images parents were sharing online, and wanted to bring them to life. 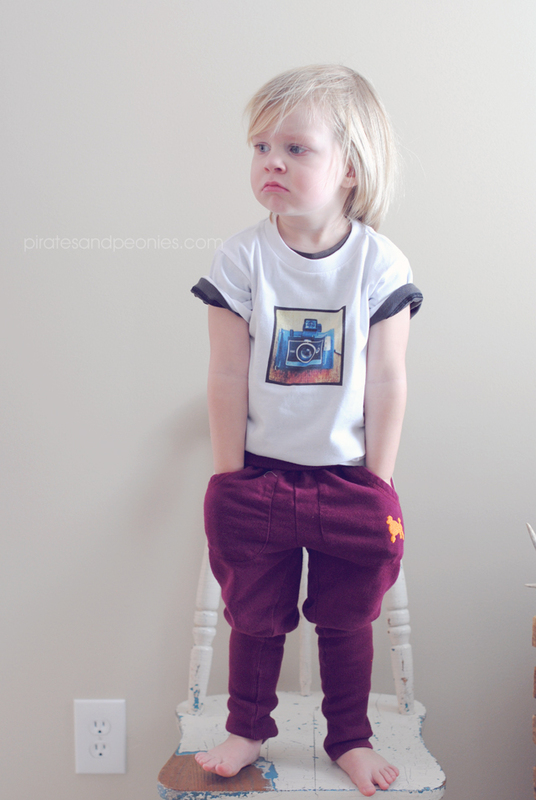 At Binkypop we print custom, one-of-a-kind, quality children's onesies and t-shirts with your favorite photography. You can easily design your own products on our website at binkypop.com. Binkypop is a fun way to let your little ones "wear the share"! 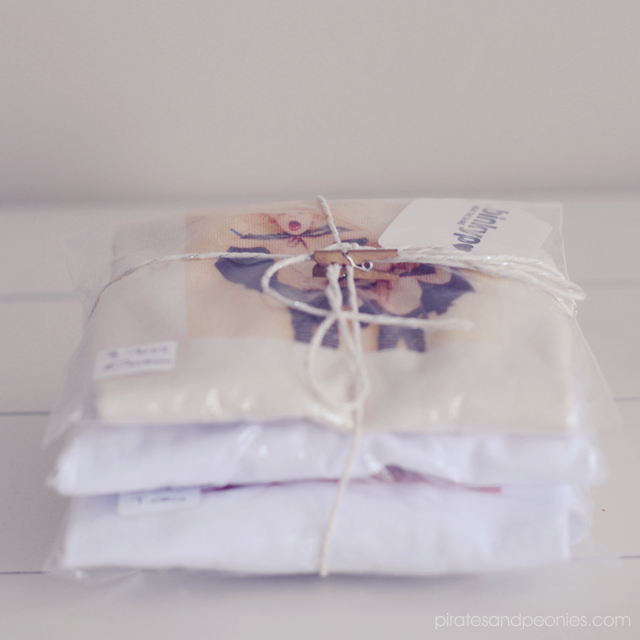 We live in Los Angeles and are happy to say that all of our products are manufactured, printed and shipped locally. Q: Is it exciting to see what types of instagram photos people choose? It is! Its the first thing we do when we see an incoming order. We've seen such a variety, from artistic landscapes to favorite pets to newborn images. We seen Binkypops created for little one's first birthdays, kiddo parties and shower gifts for friends and family. We are honored that people have chosen to share such special moments with their Binkypops! Q: What is your favorite aspect of Binkypop? We love the connections we've been able to make through our online communities. We've built friendships and received so much support through Instagram. Our community often feels like a good therapy session! There are so many creative, engaged parents there - its really been fun to connect and share challenges and rewards of parenting with them. It really makes our day when we see them sharing photos of their little ones in their Binkypops. What is currently playing on your iPod or radio? Old MacDonald (ha!) and Real Estate "Easy"
What is your in-a-crunch go-to dinner(meal)? What we call "Master's Greens", this yummy braised kale/greens dish my hubby makes for the week on Sundays. We usually have it with rice and kimchi. The little lady isn't too thrilled about this yet. Her go-to is scrambled eggs and steamed zucchini - which she LOVES. What's one article of clothing you can't live without? My big Cowichan sweater. My Mom made this lovely for my aunt in the 70's and when we were home for the holidays, my aunt gave it back to her to give to me. Its amazing! My mom used to make most of my clothes as a little girl. I envy what my mom has done with her hands, skills that i just never picked up. Maybe one day. Who are your "must follows" on Instagram? There are so many IGers that we have met and follow daily, but three came to mind when you asked this. @sueshine This mama's feed is simply stunning and I love her ability to capture so much emotion in her shots. She also keeps it real, and doesn't shy from sharing the challenges in her role as a mother. Its refreshing to see. @elixir818 Wow, he has really inspired my hubby to be a better instagram photographer and also to incorporate more family moments in his shots. He has amazing style and a brilliant eye. We love his feed, and so does 32K other users! thank you so much molly for giving us a glimpse into your life and sharing this great giveaway with us! both contests end on Sunday at 11:59pm winners will be announced tuesday. you will have 48 hrs to claim your prize or another winner will be selected.